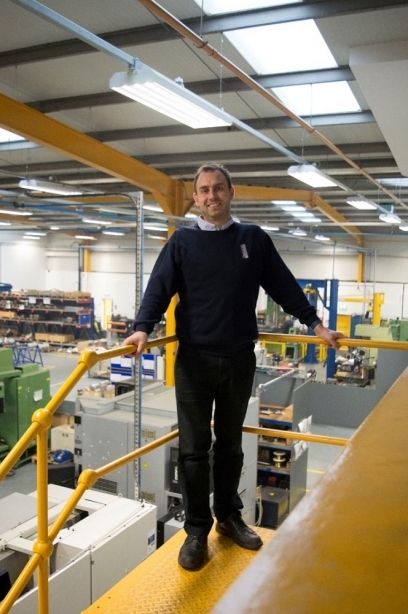 Midlands-based engineering firm, MNB Precision Engineering, has been bucking the trend in the oil and gas sector and has seen its turnover triple to £10.5m in just two years. The family-owned business has been providing precision machining and engineering services for almost 40 years. After weathering numerous economic storms, a new strategic approach from its third-generation owners has seen it enjoy meteoric growth. The business has earned a reputation for providing service-led manufacturing solutions to a range of sectors, including oil and gas, medical, nuclear, defence and automotive. It attributes its success to adapting to the changing needs of its customers and establishing the business as a critical partner within the manufacturing supply chain. MNB Precision began life in 1980 when the current directors’ grandfather began machining parts from the back of his garage. Since then the business has proved its resilience, surviving an economic crash, global recession and major downturn in the oil and gas sector. Whilst many of its competitors fell by the wayside, MNB Precision bucked the trend by refusing to compromise on quality, responding to shifting market trends and providing innovative solutions to the problems confronting its customers. Since taking the reins of the business in 2012, brothers Luke and Elliot Benton have helped MNB Precision to come back from the brink through a focused business strategy. The business embraced servitization and diversified its offering. This put the company in a strong position to take advantage of an upturn in the oil and gas, which has resulted in it increasing its staffing from 30 to 101 employees. With an orderbook forecast to hit £18m next year, MNB Precision is set to go from strength to strength, providing services for over 40 customers, many of which are OEMs and Tier 1 companies. In the last year, the leadership team has invested £750,000 in new CNC machines to boost productivity. It intends to spend a further £500,000 in the coming months. Be it oil and gas, medical, nuclear, defence, automotive or defence, every sector is demanding more complex components and MNB Precision is focused on providing bespoke parts as and when required.